David Roth practices in the areas of tax and estate planning, trust and estate administration, and other transactional matters. 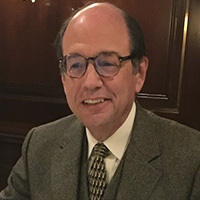 He also has extensive experience in Federal and state tax controversies (including criminal and civil fraud litigation matters), including seven years as a Senior Trial Attorney for the U.S. Treasury Department, Office of District Counsel. He has advised clients in many industries, most prominently in tax and business planning for entertainment clients and acquisition and sale of major commercial real estate projects. He has achieved certification by the State Bar of California as a Certified Specialist in Taxation and a Certified Specialist in Estate Planning and Probate. Mr. Roth has been recognized as a Southern California Super Attorney in Taxation each year since 2009, and has been awarded Martindale Hubbell’s highest (AV) rating.